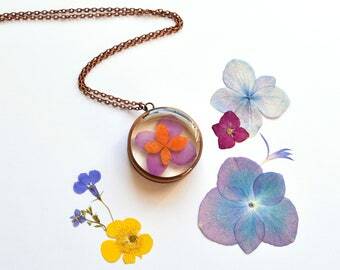 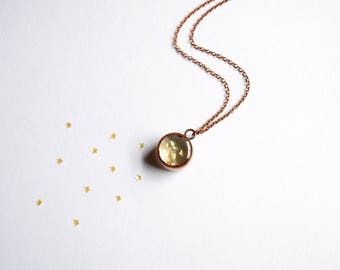 This is a beautiful copper and resin pendant encasing a real sprig of forget-me-nots. 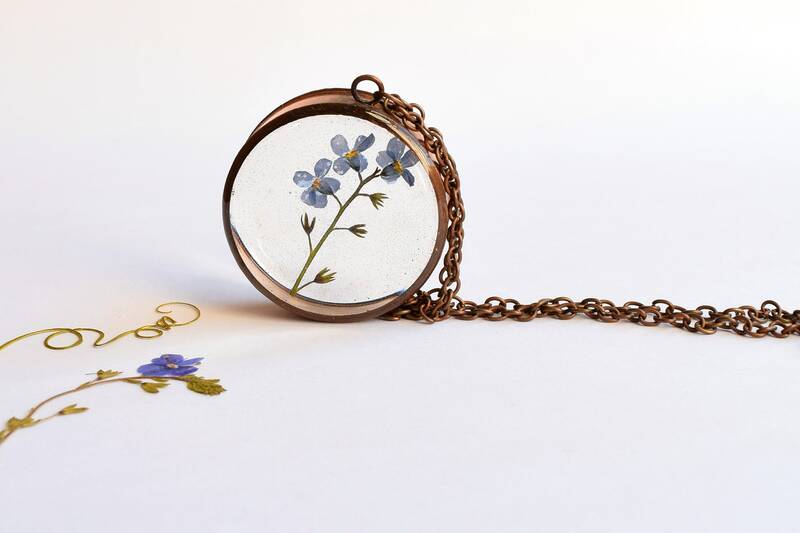 Forget-Me-Nots have many traditional meanings, including love, remembrance and loyalty. They are also deeply meaningful for many people whose lives have been affected by dementia and alzheimers. 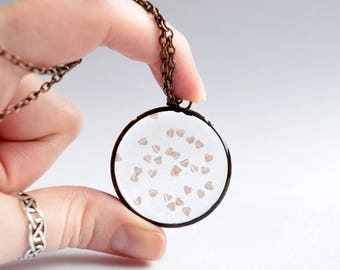 Just as no plant is the same, each one of these pendants will be unique. 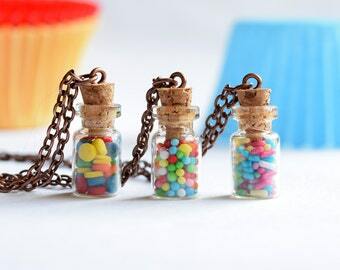 Each pendant measures 35mm x 35mm and is approximately 8-10mm deep.